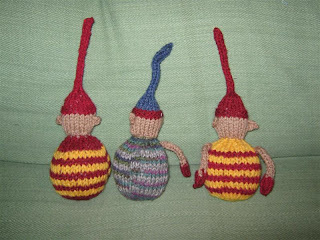 I don't know if I ever want to knit elf booties again, they were so tiny! They all have homes to go to, already and will be traveling to their destinations next week. 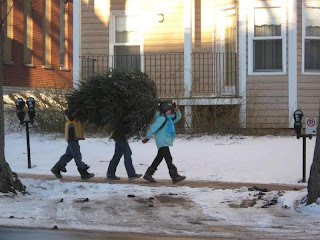 Watched this Christmas tree transport for a couple of blocks, with many stops and readjustments :) Who says you need a truck to get the tree home??? Some of you might have heard me complaining about not being able to find dark brown materials. 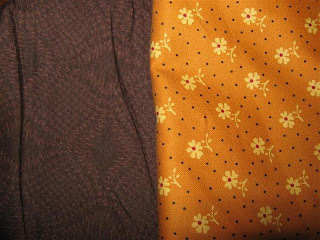 The brown fabric I blogged about last week is actually destined for this project here, though it's almost too light! 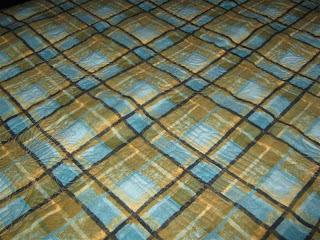 As you can see, I've got 3 dark browns right now, but I'm expecting a couple of prints in the mail and hopefully the fabric from last week will work in this quilt. The turquoise/blue prints will add variety, if nothing else! I Am Not A Traitor!!! 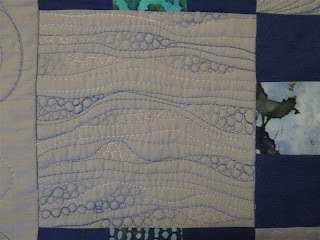 But after all this deadline-quilting, I really REALLY needed a break from quilting, so apart from the occasional binding (well, and cutting pieces for a new quilt... with a deadline), I have not really been quilting. Instead I've been going back to knitting! 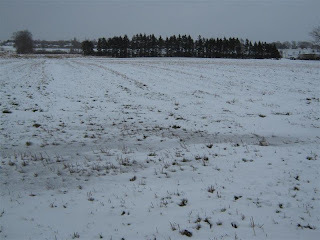 So indulge me on a brief post about something non-quilty! I only ever did scarves and hats and aborted some started cloaks (it just took too long). 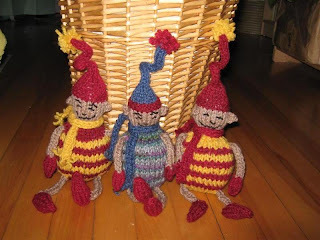 But recently, I came across Spud and Chloe's Blog who had just posted a free pattern for a tiny elf - they looked so cute, I thought I'd give it a try! 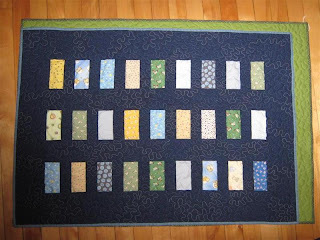 For baby quilts, Ginny's quilt hanging methods works really well! 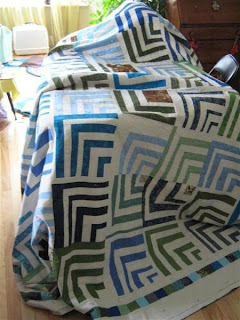 I tried to brace the camera on a chair to get shots without the flash so that you can see the quilting. 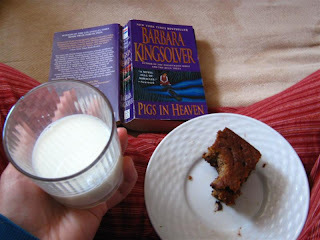 And as an aside, isn't it just perfect to curl up on the couch, with some freshly baked cake, a glass of milk and a really really good book? The cake was still warm when I started eating it, but it was so good that I ignored my grandma's voice in my head warning me that warm cake gives you tummy ache. Well, she was right! But it was still worth devouring a third of the cake while the chocolate chips were partly melted! 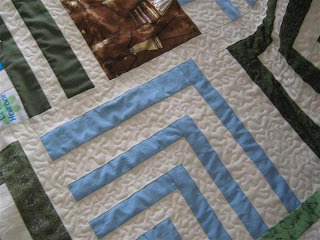 Modified Log Cabin Quilt Completed! I finished the binding in a day-long marathon session, added the label and tried to pick as many loose threads off as I could. 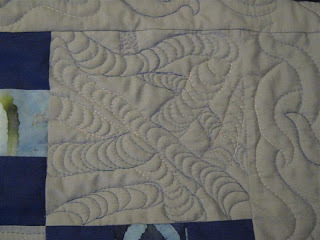 They seem to be coming out of nowhere, I swear, I can still find threads on quilts I've already checked over 5 times! 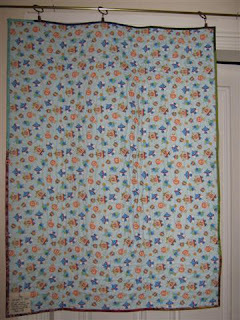 Here is the finished batik 9-patch baby quilt. Without the flash, the different patterns really come out! I was happy to get all your positive comments about how much you liked the different free-motion blocks! I was excited about this one because I work with mussels! 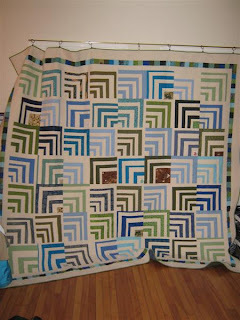 And what does the whole quilt look like? 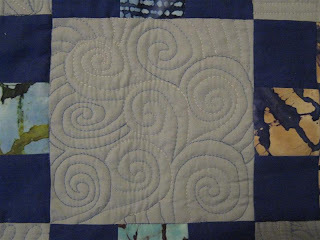 I left the 9-patches entirely unquilted, partly because I was utterly done quilting this quilt, and partly because I wanted it to be a little bit fluffy and soft and not just stiff! 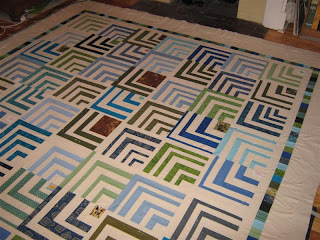 Here it is, the modified log cabin quilt - the biggest quilt I've worked with to date - all spread out over my sewing table. 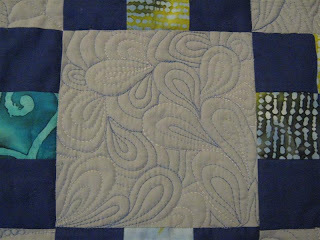 Here's a close-up of the quilting I'm doing - it'll make the coloured stripes stand out really nicely! 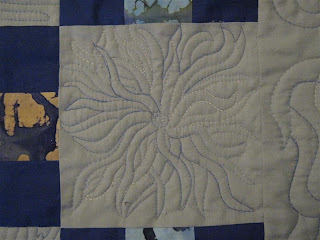 The quilting is going surprisingly fast, I'm nearly done! I'm glad you guys liked the free-motion designs I blogged about so far! 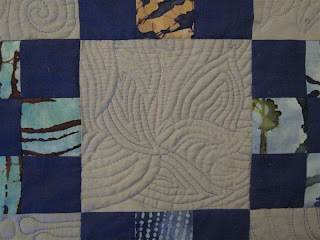 Here are the next few designs I tried on the batik 9-patch baby quilt. I'm glad there wasn't a spider on the web as well - I hate spiders! 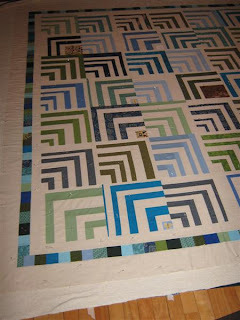 Maybe something useful for a Christmas quilt??? 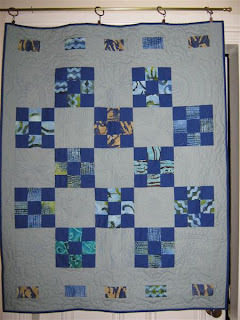 I love the look of this one, though it doesn't make for a soft quilt - very dense quilting and time consuming! Which one do you like best so far? 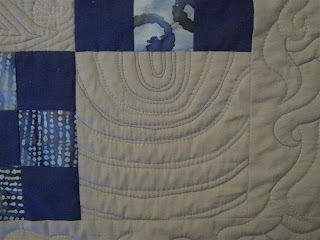 I have this weird fear of washing my quilts once they're finished, because I'm convinced something horrible will happen, e.g. 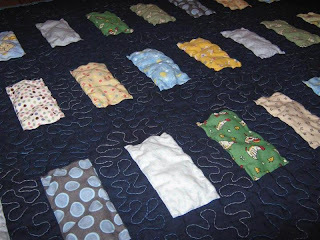 I'll get a mini quilt or it falls apart or whatever. 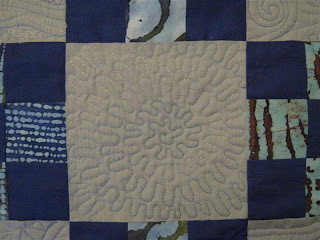 I've given away a few but either those people don't wash their quilts or nothing awful happened, because I've never had any bad feedback. 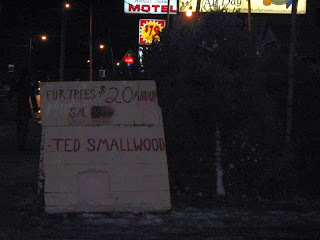 But now that I'm selling quilts, I'm worried about disappointed customers! 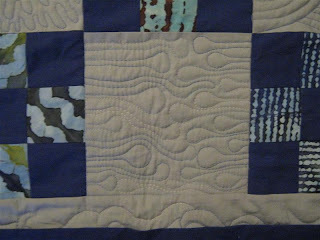 So last night, I took the plunge and just added the navy floating coins baby quilt to my regular laundry (a mix of hot/warm water, liquid detergent, regular setting as I don't have a gentle cycle setting). 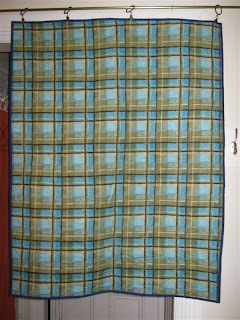 I took a photo before, just in case it came out mini ;) I also measured it: 26" x 37.5"
After the wash, it came out in one piece and feeling softer. So far so good. I measured it again: 26 " x 37.5" - great! Then I thought, hmm, I'm in a country where people throw everything in the dryer... so in it went, again, no gentle cycle and I used the hot air instead of cold. 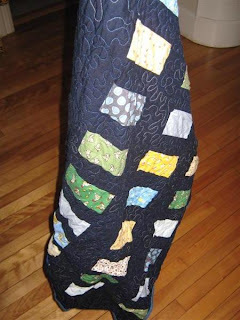 Now I've heard people RAVE about the crinkly look, which they get by not pre-washing and the quilt shrinking a bit. I got that. Very crinkly, not sure if it's my thing. The shrinkage is definitely not my thing. 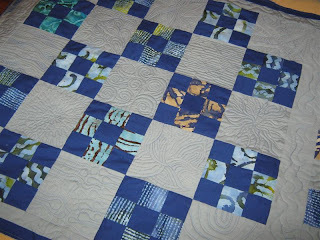 The quilt now measures 25" x 35". It lost 2.5" in length! Aaaaaah! I'm NOT happy about that! 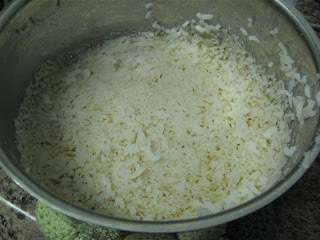 Is this shrinkage relative? 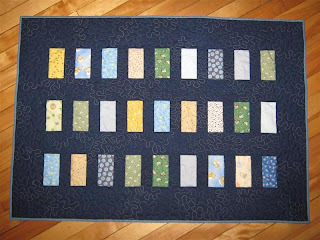 Will a queen size quilt shrink 10" in length? 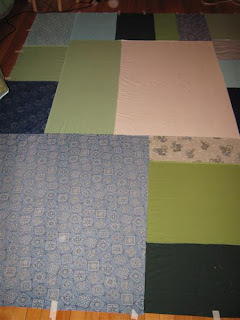 I'm going to wash one more quilt on hot then hang it to dry, and after that, there'll be some advice to my customers and other quilt recipients! A quick second post today, because I spotted this yesterday on my way home! 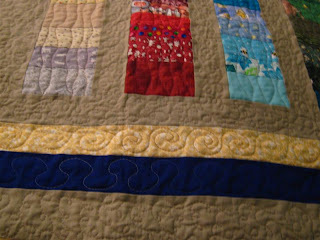 And as of Wednesday, the quilt is basted and I get the use of my living room back! This quilt is big. Too big for my living-room as it turns out. The chairs had to go, the couch had to be moved, I had no room to move once the quilt was on the floor. 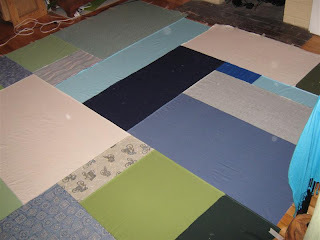 It measures around 97 x 108" plus all the extra backing/batting attached to it while it's pinned on the floor. I've also run out of pins. 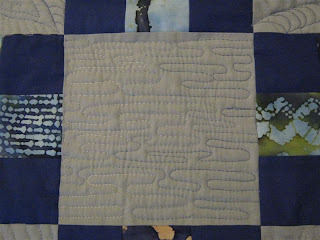 Now I'm off to quilting it! My baby batik 9-patch is done. 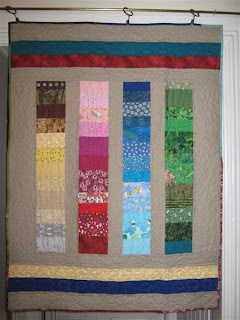 It's a pretty involved quilt, so I'll feed it to you in piece-meal :) I'll have to savour the quilting on this quilt! 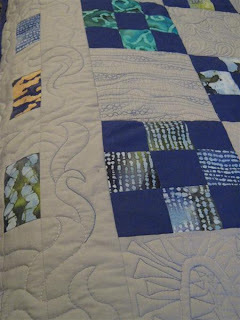 It all started with me finding this awesome free-motion quilting blog: http://freemotionquilting.blogspot.com/ by Leah Day. She challenged herself to create/showcase one free-motion filler design (to cover large areas) a day for a year. Some of the designs are very similar, others are really amazing. Here you can see all of the designs she has come up with or described so far. It was really easy, so I went ahead and picked other motives I liked and zoomed through them! 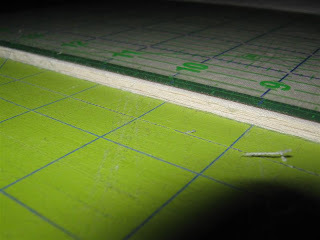 I found traveling (=stitching pack over a quilting line to get to a different place in the design) tricky at times, especially when I was going too fast - because in that case, there were 5 stitches off the original path, instead of just 1 or 2. 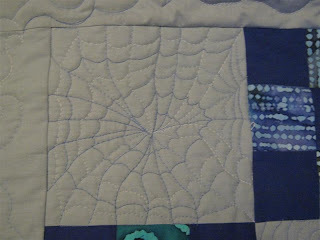 1) my needle was dull and the wrong size. I've since bought a quilting needle (I think it's an 11 or 14 in size) instead of the massive universal needles I used before - what a difference. 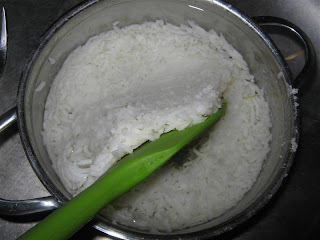 2) I had this problem especially when going through seams, the bulkier, the worse it got. 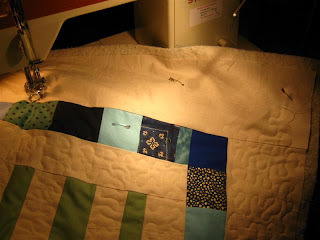 Now whenever I get to a really bulky seam and need to quilt over it, I just go extremely slowly, sometimes just turning the knob to make the needle go up and down, then lifting the foot and moving the fabric, foot down, another stitch. It goes a lot faster than having to rip out stitches and requilt them! 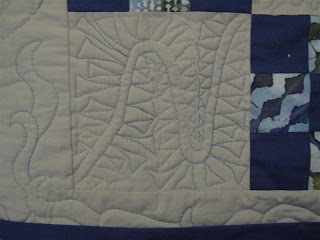 I learned a lot about tension problems in free-motion quilting (leading to skipped stitches in my case) on Leah Day's blog (a whole post about skipping stitches!) 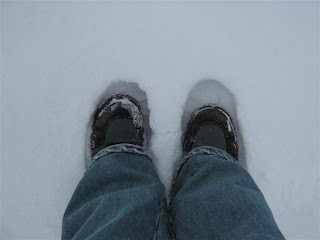 and on Diane Gaudinsky's blog (here, here, and in the comments here). 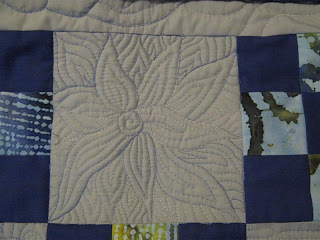 Tomorrow, an update on the modified log cabin quilt, then you'll get the next few designs I tried on the batik 9-patch! 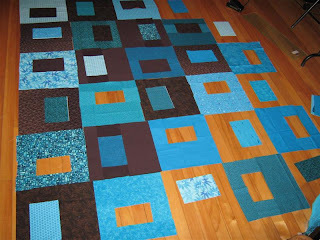 For Jennifer's Quilt, I bought extra-width fabric for the borders to avoid piecing. 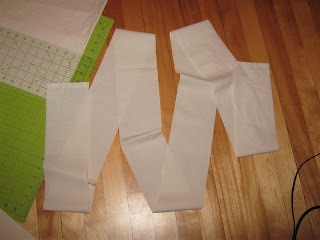 What I hadn't considered was that cutting 120"-long strips of fabric is tricky. I folded, and folded, and folded again. Do the math - that gives 8 layers of fabric. Was my rotary cutter up to it? 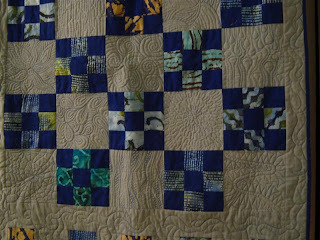 Yes, but only barely :) (it has gone through cutting a few quilts already, so is probably not the sharpest anymore). I took about 3-5 cuts before I was all the way through the layers. Like I said, they're loooong strips! 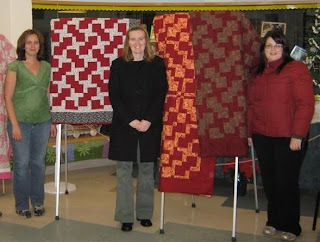 Quilt Class Was A Success! Community school finished on Tuesday! 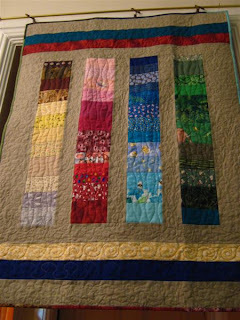 All my students finished their quilts, but one couldn't make it unfortunately (she sent her quilt, though, you can just make out the pink on the left of the photo). 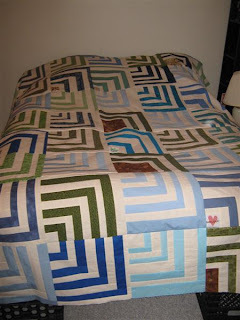 Didn't the quilts turn out spectacularly??? I already look forward to teaching again next year!